Sun Holidays from Shannon Airport This Summer – Plot your Sunny Getaway Today! 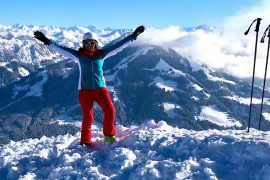 If you’re pining after some sunshine amidst a bleak Irish winter, why not plot your escape with this awesome list of sun holidays from Shannon airport. 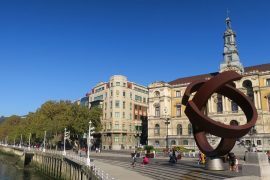 There are some fantastic sun holiday destinations that are reachable with direct flights from Shannon during Summer of 2019. 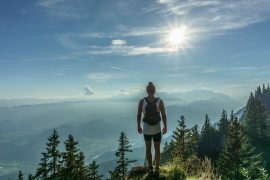 Treat yourself with a bit of sunshine for the soul by jetting off to one of these wonderful places. The Costa Blanca is a gorgeous 200km stretch of Mediterranean coastline that is home to popular destinations such as Benidorm and Alicante itself. Alicant in particular is a city which is brimming culture but Benidorm’s Old Town is famous for its charming architecture too. 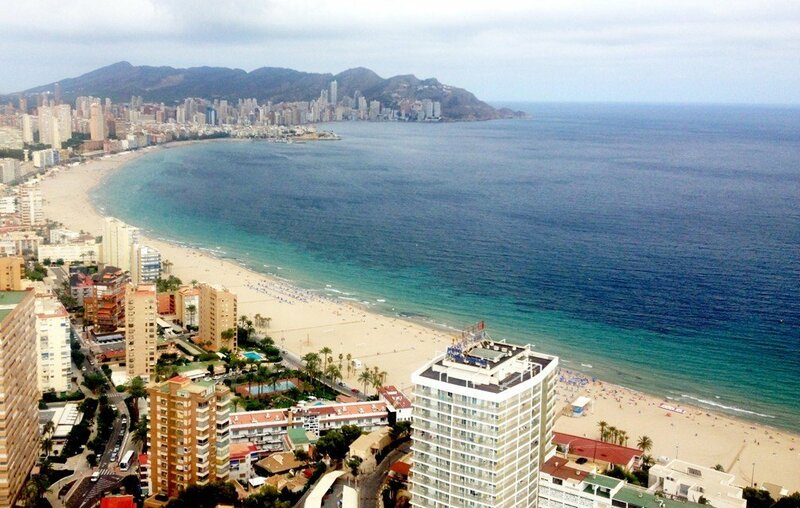 The Balcon del Mediterraneo gives you a fantastic view of the Benidorm skyline but Benidorm is probably most famous for its nightlife and super beaches. Check out Sarah’s review of Benidorm here. If you fancy something more relaxed head to Albir, Javea or Altea. The Costa Dorada boasts one of Ireland’s favourite tourism hot spots (no pun intended) in Salou. It really does tick all the boxes of what you might need from your sun holiday destination. PortAventura Theme Park is a great spot for both families and couples and there is no shortage of beaches for you to top up that tan. Two spots worth checking out in the vicinity are the Pont del Diable bridge and the Celler Mas Vincenc for any wine connoisseurs who may be reading. 🙂 Reus Airport also puts you within driving distance of Barcelona too so a flight here has you spoilt in terms of holiday options. Check out Sarah’s blog post from her family holiday in Salou here. The stunning beaches and cliffs that are associated with the Algarve are truly iconic. As well as an abundance of natural beauty, this stretch of Portuguese coastline is the perfect spot for you to create the itinerary of your dreams. 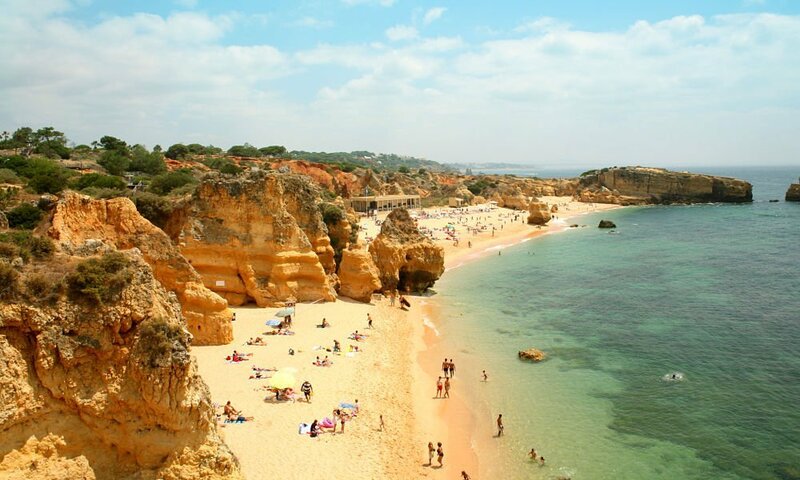 Places likes Alvor and Albufeira are well renowned for what they offer holidaymakers and you would very rarely hear a bad experience about a holiday here. Golf, surfing, tanning, shopping and most importantly (at least in my case anyway) the delicious food will keep you more than happy during the course of your stay. Fuerteventura is a nature lover’s dream. This volcanic island offers much more than just superb beaches – although there are several! 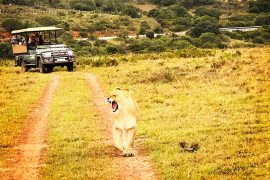 If you’re a bit of an adventure seeker, the why not enjoy a quad bike tour of the island or even just rent an open top jeep and explore every inch at your own pace. There are many noteworthy beaches around the island. If you’re looking for something a bit more peaceful, it could be worth checking out El Cotillo Beach & Lagoons! 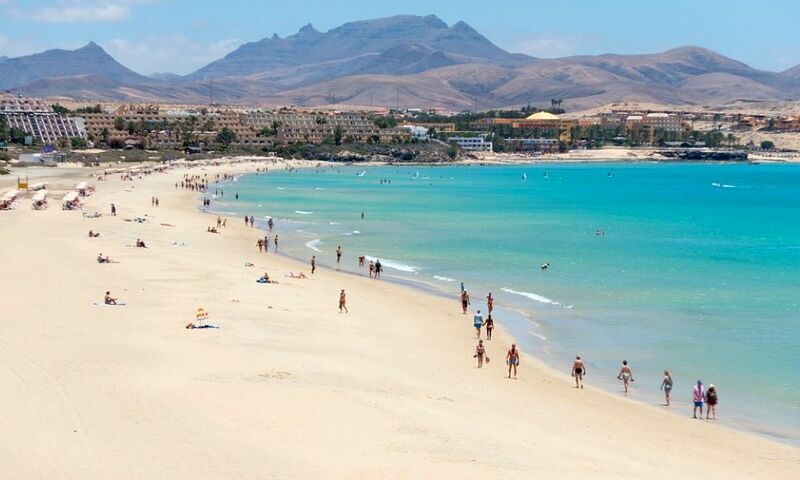 Click here for more info on Fuerveteventura. Ibiza has a reputation as being a bit of a party island. Although that isn’t exactly inaccurate, it is still possible to have a relaxed getaway here too. There are plenty of family-friendly activities such as taking a boat out to wonderful Es Vedra island. 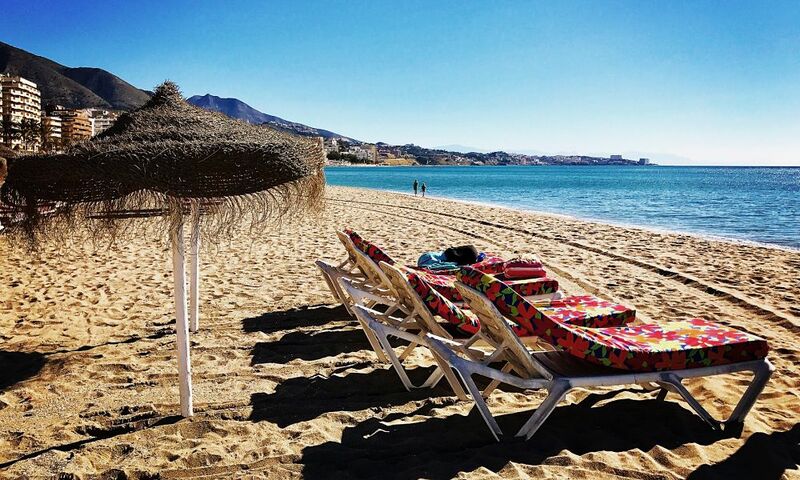 Beaches are plentiful and act as the perfect spot for water sports like diving, parasailing or even just renting out a pedalo can be a lot of fun. Ibiza Town’s impressive fortress is a UNESCO World Heritage site and it is impossible not to fall in love with it’s cobbled stone streets and cafe culture. You are bound to find whatever you are looking for on this gorgeous island. This is a new route for 2019 from Shannon airport, so be sure to make the most of it! Lanzarote is another island full of beautiful & natural landscapes. Timanfaya National Park, Playa Blanca beach and my personal favourite; Jameos del Agua should be right at the top of your to do list. The latter is a volcanic cave system where you can enjoy blissful blue water and an evening meal. 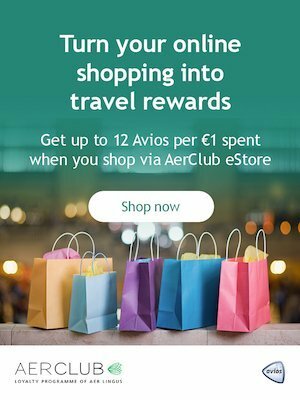 Ryanair will be flying three times weekly during the peak season next Summer. 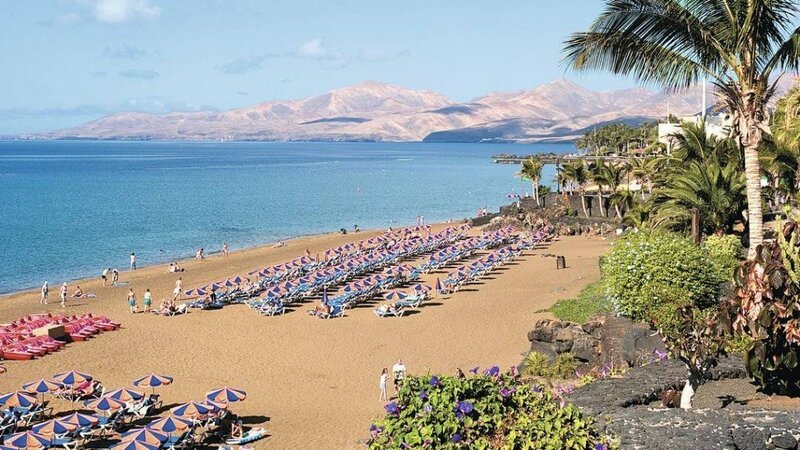 Find out here why Lanzarote is Sarah’s favourite Canary Island. Majorca is an island of endless possibilities. If you’re looking for a party holiday, you have places such as Santa Ponsa and Magaluf where you will be able to let loose. If you’re looking for something more suitable for families, you should aim to stay somewhere like Alcudia or Puerto Pollensa. Illetas Beach is one of the nicest places I’ve ever had the chance to go and also speaking to locals, you get the sense that there is a touristy Majorca and a real Majorca. Taking the time to explore the charming towns that aren’t overran will probably be the most rewarding way to experience this truly lovely place. 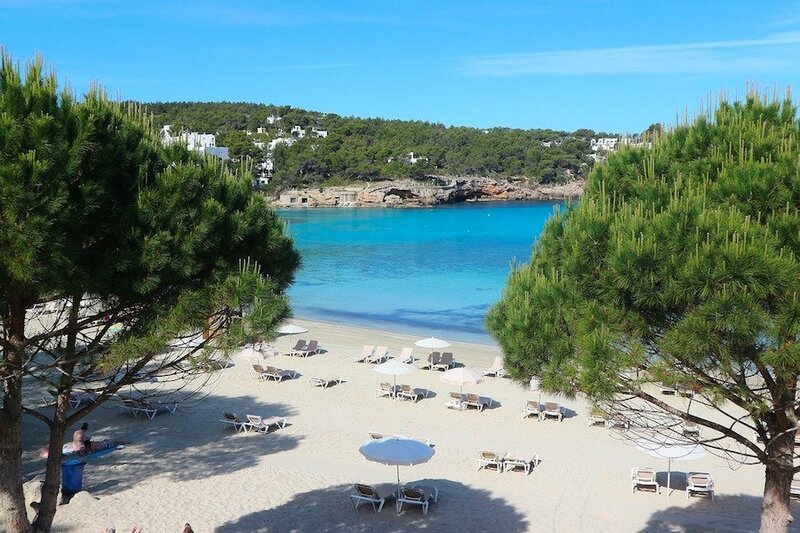 Click here to find out how to choose the right resort in Majorca for you. 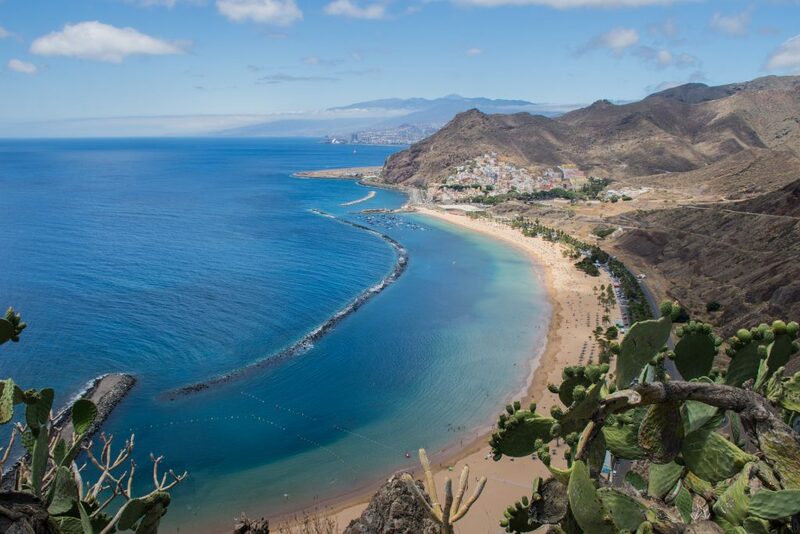 Last but not least is the terrific island of Tenerife. Siam Park is a water park that the whole family will joy. Mount Teide is an active volcano that you can get right up close to and also enjoy a breathtaking panoramic. Playa de las Americas has the most famous beach and there are plenty of brilliant restaurants and bars where you can enjoy an upbeat atmosphere and a cocktail in the evening. 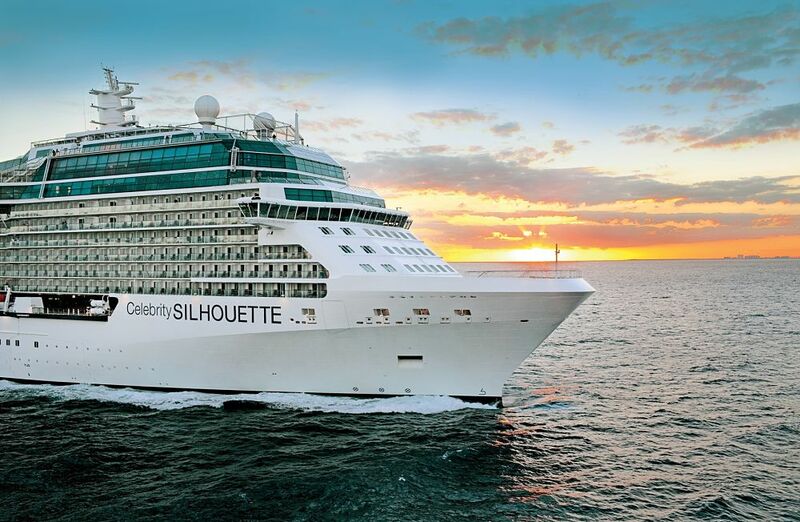 There are plenty of options for brilliant sun holidays from Shannon airport in 2019. Whether your travelling by yourself, with your partner or with the clan, Shannon Airport can be the starting point of a much needed week of sunshine in 2019. Like this post? Why not pin it! Please note that these links are affiliate links where we receive a small commission if a booking is made. Is Kelly’s The Best Family Hotel in Ireland? As twice a year travellers to gran canaria,is there any prospect of direct flights ex Shannon in the near future?